Where is it that you go to seek the presence of God? If you are like the majority of Christians, your answer to that question is nature. There is just something about an untouched forest, with its ageless trees, vibrant greens, and gentle wind, that reminds us of the presence of God. I may be crazy, but I believe this was by design. Remember the story of Elijah when God told him to go out to the mountains so that the Lord could reveal himself? Elijah went out to the mountains and he encountered the mountains colliding, an earthquake, and a fire. In each of those phenomenons, Elijah looked for God in the chaos, but God wasn’t there. Instead, God showed up in the gentleness of the wind (1 Kings 19:11-18). Just like us, Elijah sought the presence of God in nature. And he wasn’t the only one! Moses, Hagar, John the Baptist, and even Jesus all had experiences with God in nature. But why is that? Why are we drawn to nature in such a powerful way? Can I suggest that it is because that is where we came from? In the beginning of the Bible, it is written that God created us using the dust of the Earth. The Earth is not only a part of who we are, it IS who we are! Our entire being was created solely by dust and the breath of God (Genesis 2:7). It makes total sense that we would be drawn to nature to seek God because that is where our relationship with God began! So imagine this; if God loves us so much that Jesus was sent to die so that we could be reconciled with Her, what do you think God’s relationship with the Earth is? I would argue that God’s love for this planet mirrors His love for us: passionately and unconditionally. So then what is our responsibility to the Earth as co-Creators with God? When I was in 6th grade, I became obsessed with endangered species. I was so passionate about caring for animals and the planet but had no idea what a 6th grader in rural Ohio could do for the planet. I started getting “Save the Whales” and “Plant More Trees” shirts and asked my mom if we could start recycling. I quickly adopted the “tree-hugger” title in my youth group at church and would be playfully mocked by my youth group leader about my love for animals. Never once were my endeavors taken seriously in church and I never really understood why until one day, an elder made it a point to tell me that we didn’t need to take care of the planet. I was baffled and asked why he would say that. He proceeded to tell me that when Jesus returned to the Earth he would bring fire and destroy the entire planet. Looking back, I wish I would have known more Scripture so that I could have humbled that elder where he stood, but 13 year old me was not that advanced. Thankfully, what I lacked in being advanced, I made up for by being incredibly stubborn. I brushed off the elder’s comments and continued on my way to save the planet, but his words have always been stuck with me. How could a Christian believe that God didn’t care about Creation? Why is it so out of the realm of possibility that God cares just as much about the planet as He does about humans? I think the scriptures do point to the fact that God cares for the Earth, and I would assume that most Christians would agree that God loves the whole of creation deeply. Where the disconnect seems to be is what our role or responsibility is to Creation. Many Christians would agree that we need to take care of the Earth, but then fail to live that conviction out. God’s Creation is under critical condition. Many scientists believe that the Earth will be at “the point of no return” where we will no longer be able to make up for the harm humans have done to the planet by 2030 (un.org, 2018). That’s only 11 years away. Serious changes have to be made in our current abuse of the planet before God’s “good” Creation will be irreversibly destroyed by humans. I long to see Christians take responsibility to lead this movement of caring for Creation. We cannot claim to love God and love humans and ignore God’s Creation- both the planet and humans are being negatively affected by pollution and climate change. We must repent and reconcile with the Creation- but how? I believe our action starts at home before going global, so I’ve put together the following list of suggestions on how to make your home and lifestyle more Creation-friendly. Reduce first, recycle second. Recycling is great, but in a world drowning in plastic, recycling is not having a big enough impact to make a difference in our environmental decline. Instead of relying on recycling, try to reduce your use of plastic. Replace your single use plastics with reusable options. Refuse straws in restaurants, take your tumbler to the coffee shop, always bring reusable bags to the grocery store, shop bulk, use bamboo toothbrushes, and don’t purchase anything that cannot be recycled once you are done with it. Buy used. Consumerism is a killer. 32 billion new garments are produced for the US market each year with 64% of those ending up in landfills (epa.gov). Not only are we filling the landfills with the fruits of our consumerism, but we are also causing air and water pollution through the production of those goods. Buying used, thrifting, and donating can drastically affect the amount of textiles that end up in landfills and the ocean, as well as decrease the factory emission impact on the environment. Eat more veggies. There is a definite stereotype that just popped in your head when reading that suggestion- I encourage you to challenge that. Meat production is the biggest cause of air and water pollution in America. It is also largely responsible for deforestation as factory farms create space for more pastures and factory infrastructure. The average American eats 2-times the recommended amount of meat a day. We must challenge the overconsumption of meat in order to have a positive impact on Creation. Not everyone feels convicted to be vegans or vegetarians, but I encourage you to limit your consumption of meat to 2-3 times a week or only having meat on the weekends. Ready for more? Read Between God and Green by Katharine Wilkinson. Lindsey is an Indianapolis transplant by way of rural Ohio. Her background and upbringing helped set her a on a trajectory towards ministry, specifically working with those suffering from homelessness. Her heart also has a deep passion for creation care, racial and gender equity, and empowering women to mobilize for social change. Lindsey’s efforts are driven by her love for the Creator and desire to leave the world better than how she found it. She considers it an absolute privilege to be the mother of her spunky daughter, Jade, and the wife of her college sweetheart, Josh. WEEKLY: As we look to the resurrection to celebrate the victory of Jesus over the death, we also see a way of life that reflects the resurrection story. Jesus calls us out of darkness but He also calls us INTO a new Kingdom that requires us to deny our old selves, to put the old to death and become something new...something resurrected! It’s a continual J-curve of death, burial, and resurrection that recreates us over and over again into the image of Christ. We can choose to follow Jesus’ example or we can strive for that which ultimately leads to death. What about the Resurrection story has become so familiar to you that it no longer creates wonder your heart? What about it still cultivates wonder? What does the death, burial, and resurrection of Jesu imply in regards to salvation? How does it serve as a living example for followers today? What does it look like to live according to Jesus’ “J-Curve” of death, burial, and resurrection as a follower of Christ? What cross is Jesus asking you bear? What death is Jesus asking you to participate in your life today? Can you see through the cross/death at the resurrection on the other side? We are introducing a new song at CGNE this weekend! Stand In Your Love is a powerful song about trusting in God and choosing to stand on His love as a firm foundation in the midst of difficulty, darkness, and fear. Jesus is a rock whose truth is a reality and way of life that we can step confidently upon no matter what our circumstances might be telling us. Jesus has the ability to break chains of longstanding habits and sins in our life that want to keep a hold of us. This is the power of Jesus Christ and this song a declaration of that power and commitment to stand in His love! Listen to the song - pray it over yourself and others and, as we come together this weekend, let’s sing it out as a communal proclamation! WEEKLY: This week, we encounter a few moments in which we have been anxiously waiting in suspense. Esther boldly and courageously confronts King Xerxes regarding the edict again the Jewish people while exposing the evil plan of Haman. We see the reaction and downfall of the story’s most disliked villain with ironic circumstances. Like our own sin, there are some residual consequences from Haman’s actions that ultimately ends with God’s perfect justice. Esther is brave and bold in these chapters. Is there a moment where you’ve had faith to step out bravely and boldly? Have you had the courage to ask God for something really big that you thought wasn’t possible? We all have sin. Have you ever kept your sin a secret from someone or a group of people only to have it exposed later? How did you react when you sin came to light? In our world, we witness and/or experience injustices. Sometimes these injustices are solved to our humanly satisfaction and other times we don’t see justice play out the way we desire or not at all. What injustices have you struggled with? How have you seen God work in these circumstances? WEEKLY: Those in the Jewish faith say, “next to the Torah, Esther is the greatest story ever told.“ There is good reason because it tells the movement of God’s hand in the circumstances of one of the Jewish peoples’ darkest moments. Just as a deviant Persian King finds favor in a bold young Jewish woman named Hadassah (Esther), God sets the stage for one of the most magnificent rescues in history. Haman and Esther represents two very different characters. One is marked with selfish pursuit of power while the other uses power to help others. Which one do you tend to promote in your own life, actions, and values? How do you live it out? Have you caught yourself in seasons wherein you are tempted to act like Haman? What were the circumstances surrounding it? How can you cultivate a heart similar to Esther so that, when distress is present, you will maintain your integrity? What Spiritual Disciplines might you engage in order to help you out in this pursuit? As you pray for God to reveal ways in which you have acted like Haman, do you need to repent, confess, or change something about your life? Tell your House Church or a close friend to keep you accountable to following through! While living in Phoenix, I had the great fortune of working in an Orthodox Jewish Day school as one of their “secular” teachers. It was one of those moments in time that truly captured that common, but trite, adage, “I was teaching them, but they were really teaching me”. Being immersed in a completely unfamiliar culture obviously comes with its own set of challenges, but overall, the experience was one of absolute exhilaration. For the first time in my life, the feasts, fasts, and holy days of Scripture came to life in my everyday work experience. After 6 years of working in this community, I found that I had come to love many of the festivals, as much as I could love them in my still limited understanding of what they involved. Purim was one holiday I looked forward to with absolute giddiness every year. Purim takes place on the 14th day of the Hebrew month of Adar (for 2019, that means sundown on March 20 until sundown March 21). At our school, it was celebrated the entire week with costume parties, candy, and carnivals. Like every Jewish holiday, special foods are reserved for this time. Hamantashen (literally: Haman's pockets or Haman’s ears - recipe here) are the standard treat for the week, typically filled with apricots or raspberries. Leading up to Purim, it is customary for all adults (meaning bat and bar mitzvah’d children and older) to fast as a commemoration of Esther and the Jewish people’s fast before she asked King Xerxes to spare them. The Jewish people also pray, just as Esther did, that God would deliver his people- even today. Along with outside festivities in their schools and homes, sundown on Purim kicks off the public reading of the “Megillah”, or the scroll of Esther. Here, the story is brought to life in synagogue as children gather around their Rabbi- they cheer as Mordecai and Esther enter the story and hiss and boo every time the evil Haman shows up. The public reading is followed by the sharing of Shalach Manos, a small gift that is passed out door-to-door in the Jewish community (typically baskets filled with honey, candy, pastries, and fruit); it is tradition- a way to ensure that every family in the community has enough for the Purim feast to follow. Purim is also one of the most charitable times for the Jewish community, where they donate money to the poor. Late that evening, the feast begins: food, music, and wine flowing freely. In the morning, everyone once again gathers at synagogue for the reading of the Megillah, typically followed by what feels like a large Halloween party- complete with costumes and carnival games; Queen Esther’s costume is a common favorite for the little girls of the community. At the party, they joyously celebrate the end of Haman -and though it seems morbid to our Western sensibilities- it is not uncommon to see Haman hung in effigy. Rather than shielding their children from the truth of the story, they see the great lengths Yahweh went to in order to redeem their people from annihilation. God delivered them and crushed their enemy- they do not forget nor allow their children to forget. As a Christian, I reflect on this holiday and how little attention I ever paid to it until my time in the Jewish community. As a child, it is almost certain that Jesus went into his synagogue, sat with his friends, and heard the story read from the scroll. He likely cheered for Mordecai and Esther. He possibly fasted the day before Purim and recited prayers, asking his father to deliver his people. He did this because he is Jewish- fully man and fully God. Some Biblical scholars believe we even have a recording in scripture of Jesus celebrating Purim. In John 5, Jesus went up to Jerusalem for an unnamed Jewish festival; because of the timing of this feast, speculation is that he likely was in Jerusalem for Purim, as it was certainly a minor holiday (of which we know he celebrated at least some, as we have recording of him observing Hanukkah, also a minor holiday (John 10)). How beautiful it is to think that Jesus sat, read of the heroine Esther, and thanked God for the salvation of his people- sitting on the floor of his synagogue as a child- the incarnate Salvation. 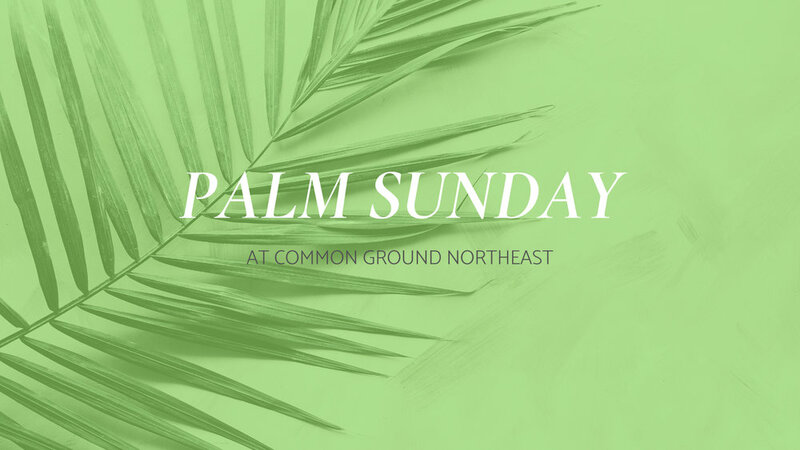 Emily Thien is a part of the community at Common Ground Northeast. She is a wife and the mother of 4 boys. She loves working with women and has a heart to see them become spiritually competent and confident in theology, scripture, and biblical community. WEEKLY: As we continue in the story of Esther, we are introduced to a new character, Haman, and his evil plot to kill all of the Jews. Mordecai and Esther fast as Esther prepares to risk her life to save her people and the promised line of Jesus. Have you ever been put in a situation where you were asked to do something ("kneel down") that goes against your faith and convictions? What did you do? How did go about making your decision? Have you ever had someone falsely accuse you of something? Perhaps twisting your words or intentions? Has the Lord ever asked something hard of you, not knowing what the outcome would be? What does it mean to live "for such a time as this?" If you are walking through a difficult season right now (or have in the pas), have you felt the freedom to engage in it properly (mourn, grieve, be angry, or lament)? Have you walked through a season where you believed God was silent and found out that He was present the whole time? Tell someone about it this week. How have you seen God moving in your life before you were even aware of it? How have you been a part of someone else’s story of redemption? How can you keep trust in God the next time you go through a difficult time in your life? All people are made in the image of God and carry the dignity, imprint, and beauty of God. History shows us a story wherein the Imago Dei (the image of God) is not always ascribed to all people, especially people of color in America. The ministry of reconciliation requires us to restore the value, dignity, and worth to every single human on earth. How do we move forward from here? What is the Churches Role in Racial Reconciliation? - Group Interview by Dallas Theological Seminary. Two Sessions: Jemar Tisby and Daniel Hill Speak at CRU Leadership Gathering. Where are you at in the journey of Racial Reconciliation? What stage are you in according to Daniel Hill’s 7 Stages of Cultural Identity Development? You can also use the Reconciliation Continuum of Christian Institutions by Peter Cha. When have you seen racism, micro-aggressions, and jokes made at the expense of a persons ethnicity, etc? Did you act? Why or why not? What is the next step in your journey toward Racial Reconciliation? Continue to become educated about “white supremacy“ and Racial Reconciliation. Explore ways to spread the word (through private networks, social networks, and educating others). Place yourself under the leadership of people of color. Listen, learn, and lean in. Commit to strong, persistent, and determined action. Refusing to leverage White Privilege. Living in a state of Hopeful Lament. Lent begins on March 6 with Ash Wednesday. We have created a devotional for you, your house church or your family to use during this season. You may choose to utilize this resource on the Sundays leading up to and including Easter, for Holy Week, or for both! If you decide to utilize the prayer pot portion of the devotional, there are a few supplies that you will need before March 10, the first Sunday of Lent. My parents didn’t directly talk to me about race or racism. It wasn’t until recently that I realized the nonverbal cues and actions that I grew up with and how those impacted me and how I had interacted with people of color in my past. 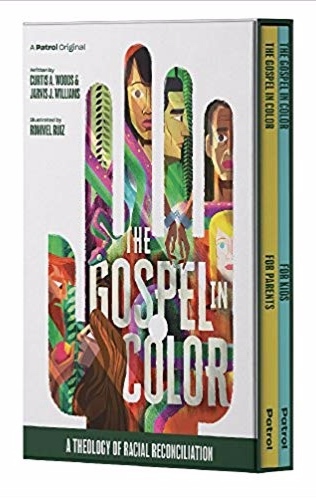 With today’s racial division and with our church focusing on the ministry of reconciliation, I longed for a resource to navigate through the conversation with our children.Recently, my sister-in-law shared with me a book called “The Gospel in Color” by Curtis Woods and Jarvis Williams. There is a “For Kids” and “For Parents” book. I read through both and really liked how they share where racism stems from and how Jesus came to reconcile us to Him and to one another. I loved the ideas and thoughts so much that I took some of the concepts from these books and created lessons for our Kindergarten – 5 th grade. On February 17, our Kindergarten through 3 rd graders experienced a Godly Play style story that talked about sin, the lie about race, how we are all made in the image of God and how Jesus came to rescue us and reconcile us back together with God and with each other. Our 4 th and 5 th graders also experienced a lesson regarding race and reconciliation on the same day. We used Bible stories and language the children are familiar with. As parents, we need to recognize and acknowledge racial division and have a conversation with our children. If you are a parent, you may have already had a conversation with your child(ren). If you haven’t, the “The Gospel in Color” is a great resource and I encourage you to purchase the kid and the parent book on Amazon and work through the books as a family! I am happy to answer any questions regarding the books or the lessons. Please email me at jody@cgnortheast.org. Jody and her husband James reside in Westfield and have attended Common Ground since 2001 and 1999, respectively. They have one daughter, Carlie, who will enter CG's youth ministry this fall. Jody studied accounting at IU and worked for PWC for seven years before becoming a stay-at-home mom. Coming from a family of educators, Jody has always enjoyed working with children and began serving in children's ministry early on at Common Ground. Jody served as the Children's Ministry Administrator before the Northeast area church was planted. Jody enjoys completing puzzles, watching sports, spending time with her nieces and nephews, and traveling to Florida, especially to Disney World. In many ways, throughout history, the church has been closed to hearing different perspectives. In some ways this is good because it helps to affirm messages and ideologies we uphold as “truth.” However, there is a negative side effect as well. We are unable to grow if we unable to be open to listening. The evangelical sub-culture can accidentally create an echo chamber that affirms specific cultural values instead of Gospel values. There are a variety of perspectives that we need to consider, while maintaining a strong sense of discernment, if we want to grow. How can we be open but also discerning? How homogenous is your world? Do you mainly hang out with people who look like you? Mentors who look like you? Books written by people who look like you? Teachers/Theologians who look like you? Churches who look like you? Do you see this as a good? Bad? Indifferent? Why or why not? How does this affect your overall comprehension of people, culture, faith, and even politics? What are ways you can diversify your influences? Books you read? People you talk to? Etc? How is God telling you respond to the sermon/study? Ask your House Church or Transformation Group to keep you accountable to following through. New "Article & News" Page! We want to keep you all as informed as possible. This page is developed to keep an ongoing database or repository of subject matter, resources, and important news that we believe best serves our congregation. Check in with us regularly to keep updated! If you are looking for former resources and articles from a previous series (OIKOS, Advent 2018), you can access it here in our Articles Archive. Moving forward, all resources, articles, and news will be published here. We are very excited to announce that we are now accepting applications for the position of Youth Pastor at CG Northeast! Our current youth director, Mike Kuebler, has agreed to serve as the interim youth pastor since July. As of today, we have posted the position to fill that role with a long-term candidate. We are looking to hire either part-time or full-time; the full-time position is dependent upon additional abilities that will complement those of our other staff members and volunteers. Please view the pages below to learn more and apply. Below is a financial update from elder Charlie Meyer from August 26, the final Sunday of our 2018 fiscal year. If you have any questions, you can contact Charlie or the CG Northeast Office.